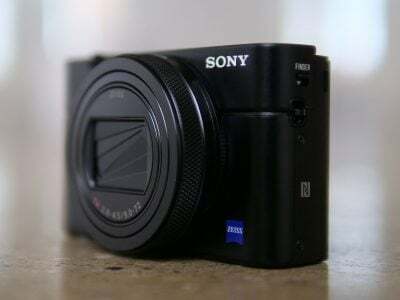 The Sony FE 24mm f1.4 G Master is a wide-angle prime lens designed for its Alpha series of full-frame mirrorless cameras. The lens delivers a popular field-of-view that’s wider than 28mm without the distortion related to wider options, while the bright f1.4 focal ratio is ideal in low-light and also for delivering shallow depth-of-field effects, especially when the subject is positioned close to the minimum focusing distance of 24cm. In my tests, the Sony FE 24mm f1.4 GM was a winner: sharp into the corners of a full-frame sensor, light and small, with good resistance against flare, glare and ghosting, and a nice background Bokeh too. The de-clickable aperture ring, lockable lens hood, and focus lock button are a nice bonus. This together with its thorough weather-sealing supports Sony's high-end claim of the G Master series. All in all the Sony FE 24mm f1.4 GM justifies its price and although I'd wish for less longitudinal CAs the lens clearly earns a Highly Recommended! Check prices on the Sony FE 24mm f1.4 GM at B&H, Adorama, or Wex. Alternatively get yourself a copy of my In Camera book or treat me to a coffee! Thanks! 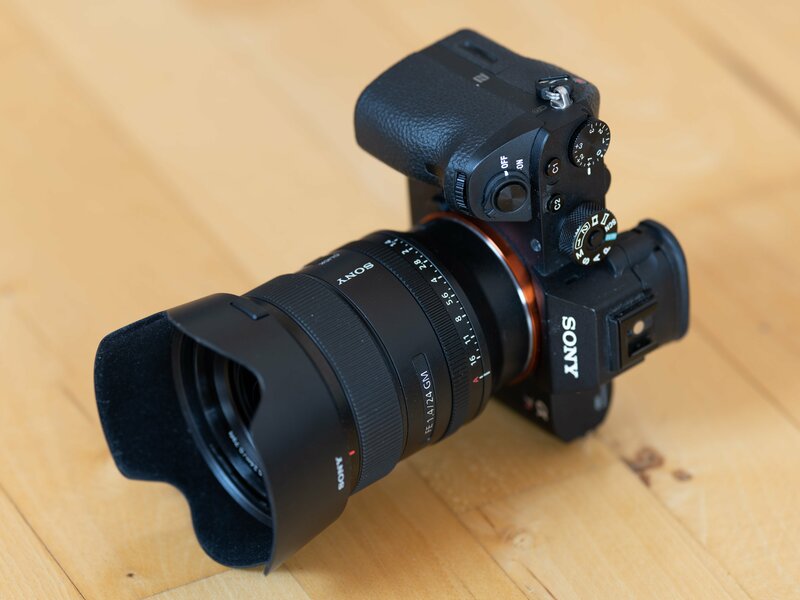 The Sony FE 24mm f1.4 G Master (also known as the SEL24F14GM) is a wide-angle prime lens designed for its Alpha series of full-frame mirrorless cameras. Announced in September 2018, it’s the 30th full-frame mirrorless lens for Sony’s Alpha system, and the eighth to join its premium G Master series, not to mention being the fourth G Master prime lens after the FE 85mm f1.4, FE 100mm f2.8 STF and FE 400mm f2.8. The FE 24mm f1.4 GM delivers a popular field-of-view that’s wider than 28mm without the distortion related to wider options. 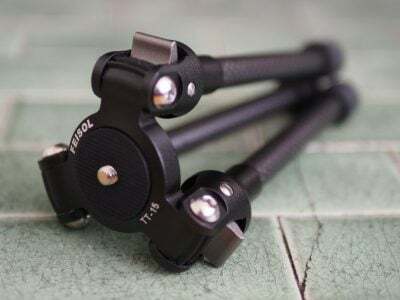 The lens combines this coverage with a bright f1.4 focal ratio that’s ideal for low-light use and can also deliver shallow depth-of-field effects, especially when the subject is positioned close to the minimum focusing distance of 24cm. 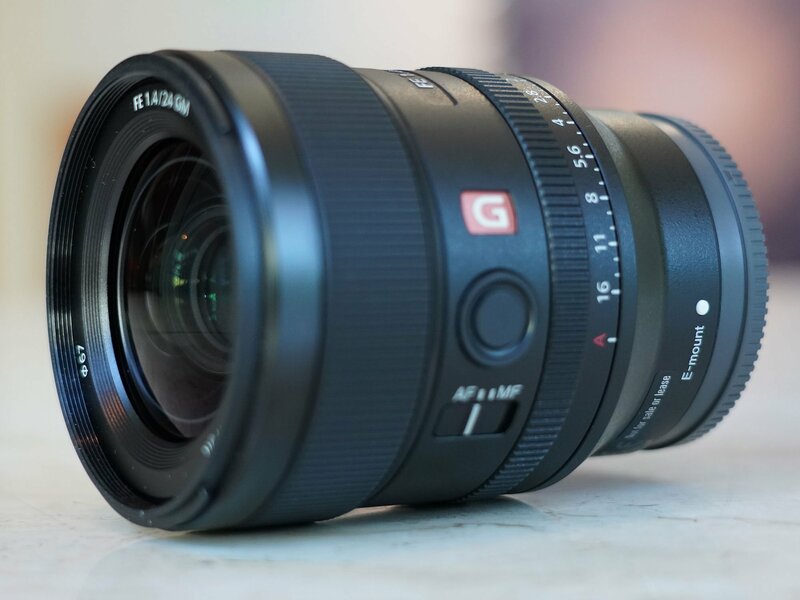 Like all G Master lenses, the FE 24mm f1.4 GM aims to deliver both high resolution across the frame as well as attractive rendering of blurred areas. Its de-clickable aperture ring also makes it great for video work. 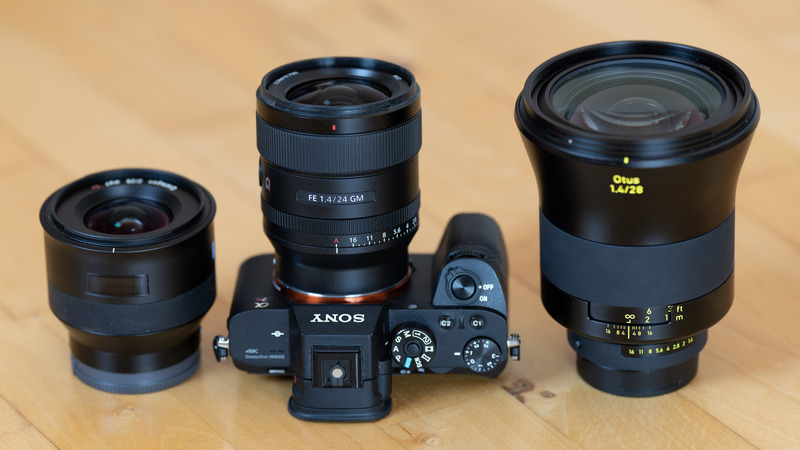 To find out how the Sony FE 24mm f1.4 GM performs I tested it against the Zeiss 25mm f2.0 Batis on the 42MP A7R II body and compare it also to the Sigma 24mm f1.4 Art and the Zeiss 28mm f1.4 Otus. So if you’re interested in which wide-angle prime to choose, you’ve come to the right place! As usual I’ll have a look at the technical data of the Sony FE 24mm f1.4 GM first. I’ve rated the features with a [+] (or [++]), when it’s better than average or even state of the art, a  if it’s standard or just average, and [-] if there’s a disadvantage. For comparison I use the Sigma 24mm f1.4 Art and the Zeiss 25mm f2.0 Batis (“Sigma Art” resp. “Zeiss Batis” for short). The score in the “features-department” is 1[-]/2/9[+], the most distinguishing features of the lens being the de-clickable aperture ring, the lockable lens hood and the focus lock button. Plus it is pretty compact for an f1.4 lens and well protected against the elements. Its only drawback is the high price. Sigma offers the AF 24mm 1.4 DG HSM Art (730 EUR / 850 USD). 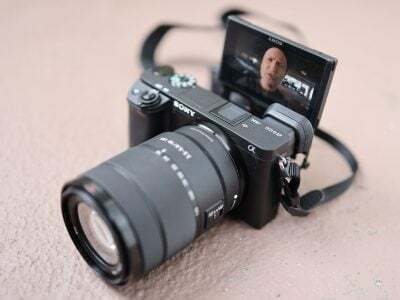 It’s an optical design from 2015 for DSLRs which is available in E-mount since 2018. 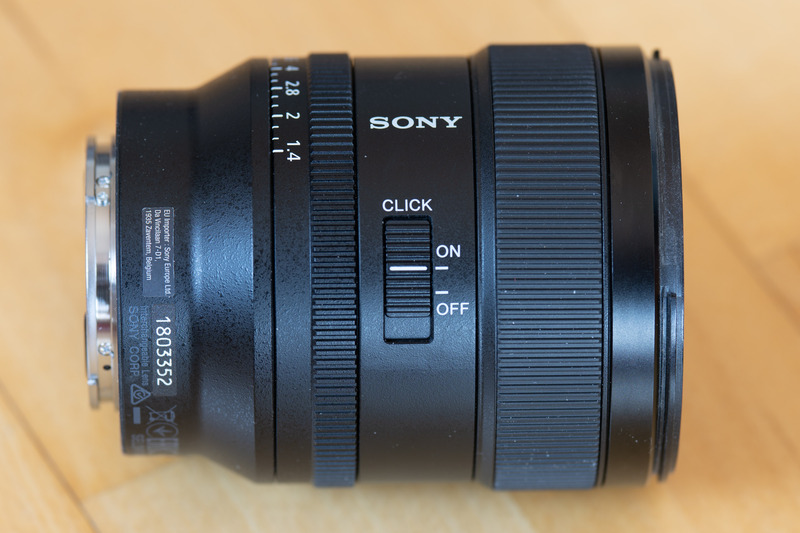 See my Sigma 24mm f1.4 Art review where it earned a Highly Recommended. Zeiss has the 25mm f2.0 Batis from 2015 for 1130 EUR / 1200 USD. Its one stop slower focal ratio is the biggest disadvantage over f1.4 primes. The 1mm longer focal length should not make a big difference. See my Zeiss 25mm f2.0 Batis review where it earned a Highly Recommended. Zeiss also offers the 28mm f1.4 Otus from 2014 which is manual focus only and can be used on an EF to E-Mount adapter. The lens is extremely big and heavy (1.3kg) and sells for a whopping 4500 EUR / 5000 USD. But its optical performance is top notch. See my Zeiss 28mm f1.4 Otus review where it earned a Highly Recommended. Samyang/Rokinon/Walimex has a 24mm f1.4 ED AS UMC lens for Sony E-Mount from 2013 but only for manual focus which costs around 540 EUR / 500 USD. Focus accuracy and repeatability is critical to consistently produce sharp shots especially with large aperture lenses. Repeatability (the accuracy of focus on the same subject after repeated focus-acquisition) of this lens is very good (measured 98.8% in Reikan FoCal) with no outliers over a series of 40 shots. There is only a very slight focus variation whether the lens focuses from a closer distance or from infinity. 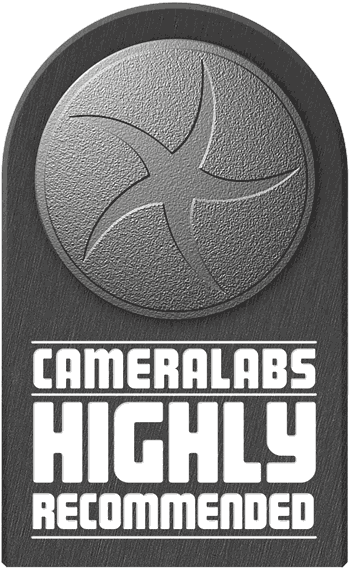 The lens focuses in around 0.5 sec on an A7R II from infinity to 0.34m (1:10 magnification), which is very fast. The Sigma Art was a little slower at 0.6 sec but that was measured on a Nikon D810. The focus ring is 13mm wide. It moves very smooth and can easily be operated with one finger. AF-operation of the lens is inaudible from the outside and if you record video with the built-in microphone the AF-drive produces no sound. As you pull focus, you’ll notice some focus breathing: the image becomes 6% more magnified when I adjusted the focus from infinity to 0.34m. This could be distracting when shooting videos.